A loan of $250 helped to buy a steer. Ernest is grateful to the lenders who supported his project. He acquired a cow with the money from the loan. He has finished his payments. He wants to continue to expand his beef herd. For this reason, he is again asking for the support of the lenders. He is asking for another loan to buy a steer. He intends to continue to multiply his animals and to resell them at the opportune moment. He hopes for the support of the lenders whom he acknowledges with a smile. Translated from French by Kiva volunteer melanie fluharty. View original language description. Ernest est reconnaissant envers les prêteurs qui ont soutenu son projet. Il a acquis une vache, avec l'argent du prêt. Il a terminé ses remboursements. Il désire continuer à accroître son cheptel bovin. De ce fait, il fait encore appel au soutien des prêteurs. Il demande un autre prêt pour acheter un boeuf. Il compte poursuivre à multiplier ses bétails et les revendre au moment opportun. Il espère le soutien des prêteurs qu'il salue avec un sourire. It helps the poorest of the poor in Madagascar to improve their lives. Vahatra is a non-profit organization that provides low-income families in Madagascar with opportunities for education, healthcare, professional training, and family services. The organization specifically targets families who earn an average income of $1 or less per day per person, and evaluates each family's need to provide unique and tailored services. With Kiva's assistance, Vahatra will be able to provide loans for more people, therefore providing low-income families with new opportunities. 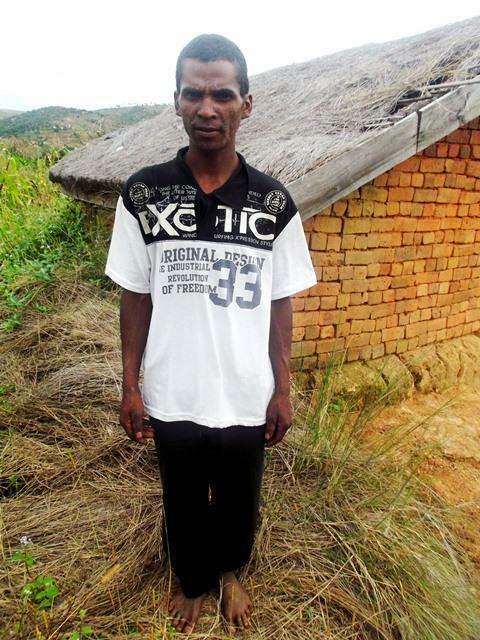 Kiva shares Vahatra's mission to provide opportunities for low-income families in Madagascar. According to a 2013 World Bank study, 92% of the Malagasy population lives on less than $2 per day. Five of the nine branches of Vahatra are located in rural areas, and serve farmers. Vahatra is dedicated to helping families in need access education, healthcare, professional training, and family services.